In 2011, we took to the streets of Toronto, Ontario to challenge locals to test our product against the competition. Watch the video to find out who sealed up the challenge. © 2012 Conros Corporation, LePage's 2000 Inc. 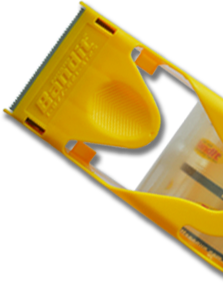 The Bandit® Tapegun and Bandit® logo are registered trademarks of LePage's 2000, Inc. All rights reserved.